What groups of people are do you want to reach online? What are the psycho/demographic profiles of these people? Make a list of the types of people you want to attract to your Web site. Let your Web site strategic objectives guide you in understanding the type of groups you need in order to accomplish each objective. 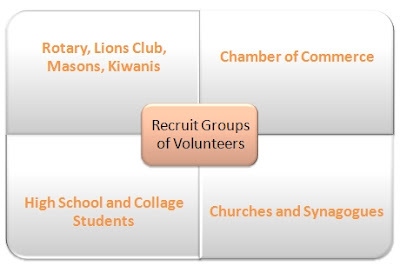 For example, one of your objectives may be to recruit groups of volunteers for short-term projects so you would make a list of the various groups that might be interested in such a thing.